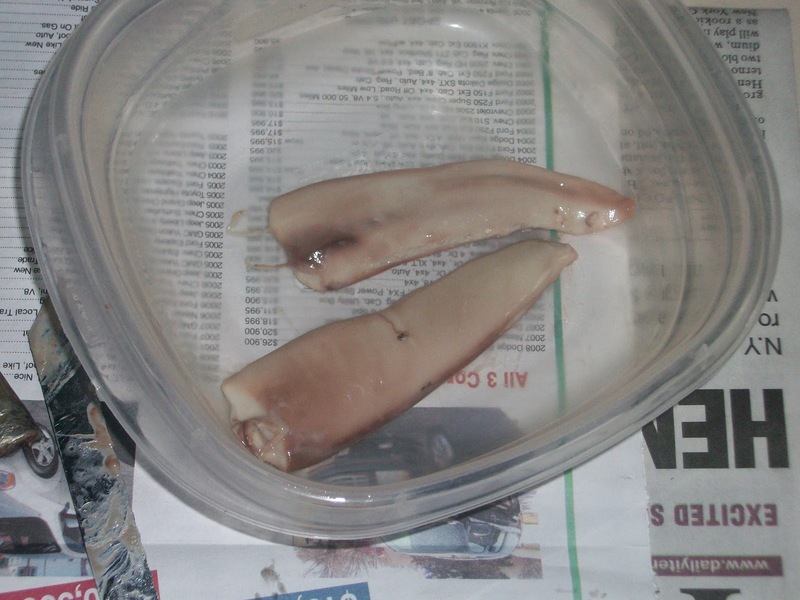 My Life in Milton: Herring III -- The Results! Marianna graciously allowed me to use her picture of herring roe and you can visit her excellent website by clicking on the link above. 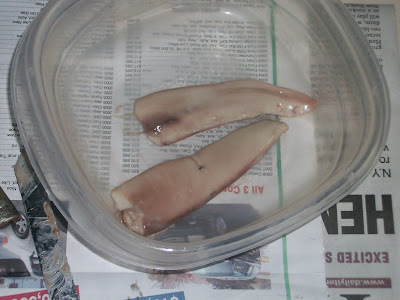 Now that the "mystery of the sacks" as been solved, let's get to the good stuff: eating herring. 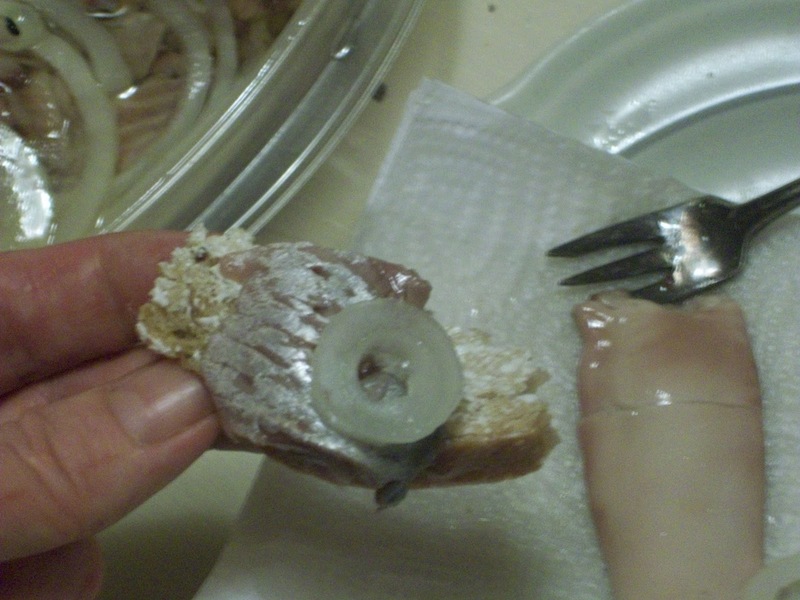 Herring can be enjoyed in a number of ways. You can eat it with boiled potatoes with butter and sour cream. You can have it in a kind of salad with potatoes and beets called "fur coat," so named because the sour cream spread over the salad resembles a white fur coat. 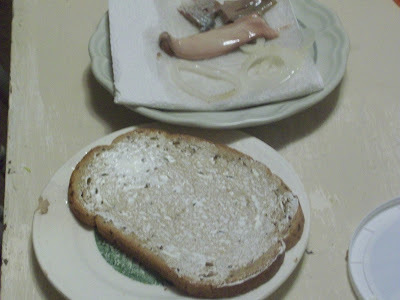 But my favorite way to enjoy herring is to eat it simply, with rye bread and a little butter. The bread pictured is not the correct bread, but it is whole grain and it is on my current diet. Also it has seeds (caraway), which I like, but seeded bread is not traditional in my family. 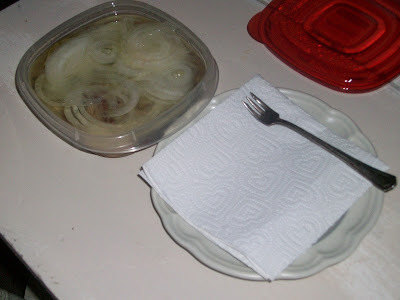 To truly enjoy eating herring like a Russian, get the very best quality rye bread you can find. Try to avoid Americanized, and by this I mean tasteless, bread. I'll leave the controversial issue of seeds up to you.